Unwanted guests are never fun, especially when you can’t ask them to leave. Luckily, Anderson pest control companies have no problem kicking them out. Whether there’s a rodent in your basement or insects in the attic, call your local Anderson exterminator to take care of them — do not try to wrangle them out yourself! Not sure which type of home pest control service in Anderson, IN can tackle your issue? Read profiles and ask about their past experiences to get a good idea. We've made a science of pest control in Indianapolis, so let us create a formula for your success. Our advanced technology and client-facing services allow our highly trained exterminators to expel the threat of current and future pests plaguing your home or business. As a family-owned company in the Greater Indianapolis area, we've served our community for over 65 years. We provide residential and commercial pest control services. 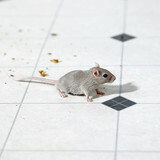 We use the most up-to-date techniques and strategies to help ensure your property is pest-free. As a licensed and insured company, we offer superior, effective, and reliable pest control services while holding the safety and concerns of our customers and the environment as a priority. We carry out our services in accordance with label specifications and state regulations. Our team is friendly, competent, continuously trained and passionate about what they do. 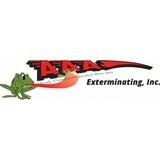 No matter what pests you have, our mission is to rid you of your pest problems. techniques and strategies to help ensure your property is pest-free. Combining years of experience with a dedication to client satisfaction, Total Exterminating Company Inc has established itself as the local leader in Pest Control Service, Pest Management and Bed Bug Removal. Got a pest problem? 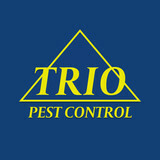 Trio Pest Control can provide fast, affordable, and professional pest removal and control services to Greenwood, IN homes and businesses. We are a family owned and operated business with more than 20 years of industry experience. We can tackle virtually any type of pest problem, including bed bugs, termites, rodents, ants, spiders, wasps, bees, and many more. Committed to your satisfaction, we offer a 90-day guarantee. Get rid of your pests once and for all with our pest removal and prevention specialists. Call today for a FREE estimate.